Post Matric Scholarship Scheme For Transgender Students Chandigarh for the year 2018-19. The objective of the scheme is to provide financial assistance to the Transgender students studying at post matriculation or post-secondary stage to enable them to complete their education. i. He/she should belong to any caste declared as Scheduled Caste or Other Backward Class for the UT., Chandigarh. iii. Only those candidates, who are transgender and who have passed the Matriculation or Higher Secondary or any higher examination of a recognised University or Board of Secondary Education, will be eligible. iv. 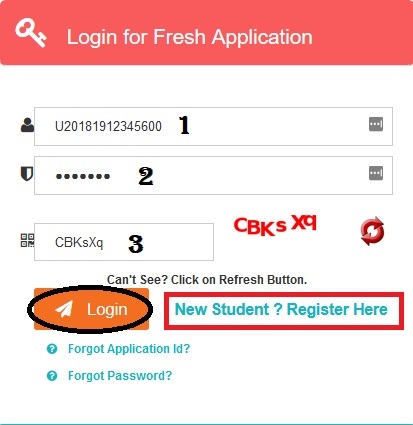 No scholarship will be paid to the student under this scheme from the date he/she accepts another scholarship/stipend. v. Parents of the student should be bonafide residents of UT., Chandigarh for the past three years. 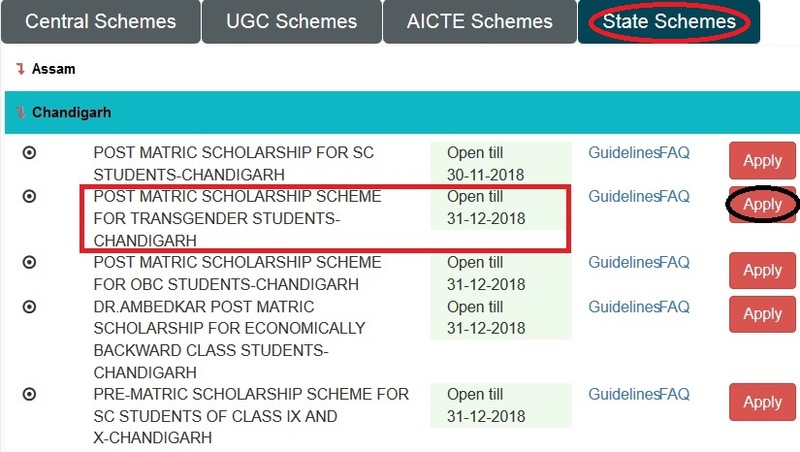 Step 3 : After that Click Apply link in the “Post-Matric Scholarship Scheme For Transgender Students 2018-19” under Chandigarh. ** Transgender student that he/she is a transgender person) etc. ** All the eligible Transgender candidates will be given scholarships subject to eligibility conditions as mentioned in para IV and V above. ** Candidates belonging to one State but studying in other State will be awarded scholarships by the State/UT in which they are studying..